Toner is an effective beauty product that is designed to restore your skins natural pH levels while shrinking your pores. Usually produced in liquid or lotion form, toner is primarily used after washing the face with soap and water and before applying makeup or moisturizer. How Can Toner Improve Your Skin? Shrinking Pores: Toners containing botanical extracts can help tighten up your pores. This can help reduce the level of blemishes and skin irritations on the skin. Balancing Skin pH: Many people do not realize that skin is naturally acidic and that cleaning with soap will throw off its pH balance. When you wash your face, the soap will remove the oil that your skin produces to keep the correct pH level. In order to restore the pH balance, your skin will produce unwanted oil. Toners help skin maintain its natural pH level without having to over-produce oil. With toner, pH balance is restored quickly, ensuring that your skin is healthy. Moisturizing: Moisture is the essence of healthy skin, and toner is ideal for restoring moisture after you wash your face. Unfortunately, a lot of cleansers and soaps will dry the skin as it is being washed. Toner helps to combat this process by making it easier for water to bind with the skin. There are toners that are designed to pull water from the dermis to the epidermis, restoring moisture and reducing skin irritation. Refreshing Skin: Toners are able to remove impurities that your face wash may leave behind. They are especially useful for removing makeup or other substances that you may have missed during your wash. Toners make sure that your skin is as clean as possible and ready for the next step in your skin care routine. If you want a toner that will refresh your skin and leave your face looking bright and lively, try a toner with vitamins and antioxidants. Rejuvenating Skin: The use of toner will rejuvenate your skin by stimulating cell production. Toner also creates a protective barrier that helps your skin retain moisture and prevents damage from other skin products or natural outside sources. Cleansing Dead Skin: You exfoliate your skin at a salon or at home now and then, right? Think of toner as an exfoliation tune up. Many toners contain exfoliating agents that clear dead skin and prevent ingrown hairs. Using toner is not rocket science. Simply wash your face as you normally do with a cleanser or face wash. Pat your skin dry with a towel and then apply a small amount of toner to a cotton ball or pad (do not soak the cotton in toner). Gently apply the toner to your face using a stroking motion. Do not try to rub the toner into your face like you would a face wash. Let the toner sit on your face and dry naturally. Once dried, apply some moisturizer to complete the process. There is a perfect toner for every type of skin. You will find formulas made to treat normal skin, oily skin, dry skin, sensitive skin, acre-prone skin, and many other types. Analyze your skin type to determine which of these categories you fall in (you probably already know). Most toners are clearly marked to emphasize the type of skin they were made for. If this is your first time buying and using toner, it is smart to purchase a couple of varieties to try. Don’t be frustrated if one brand leaves your skin too dry and another too oily. 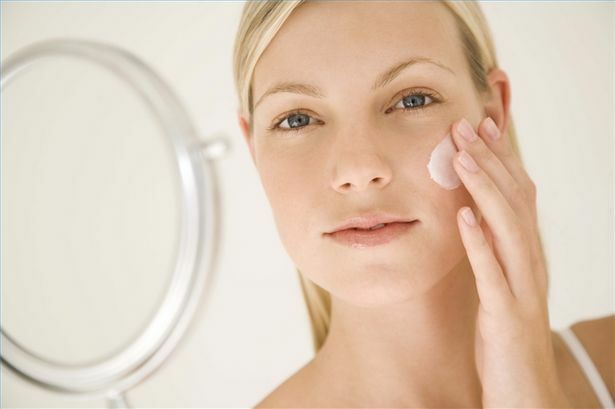 Toner can be hit and miss until you find the right product for your skin. For help determining your skin type and finding the right toner for you, the experts at Threads are more than happy to help you. Threads will assist you in finding the perfect routine for your skin, whether it involves toner or not.